Proposed "cooling-off" day includes netizens. PM Lee proposes that websites should also stop postings on elections during this period. Exception for “news reports”, he says. Channelnewsia’s report on PM Lee proposal on a “cooling-off” period for the next elections. PORT OF SPAIN: The Singapore government is proposing an extra day of non-campaigning as a cooling-off period just before Polling Day, ahead of the General Election due in 2012. The extra day of non-campaigning will also apply to a presidential election. Prime Minister Lee Hsien Loong made the announcement to the Singapore media after wrapping up his attendance at the Commonwealth Heads of Government Meeting (CHOGM) in Trinidad and Tobago. Under current election rules, political parties are not allowed to campaign on Polling Day itself. Except for party political broadcasts and news reports, there are to be no more mass rallies, door-to-door visits and even display of party symbols. 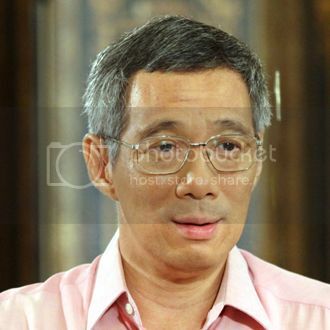 Mr Lee said the cabinet had been considering an additional cooling-off day over the past several elections. He said this would give voters time to reflect rationally on issues, after the emotional high of election campaigning. He added that having a cooling-off period will also lessen the risk of public disorder. “Previously, once in a while, we have had pushing and shoving at election rallies as the crowd gets worked up and doesn’t disperse, but the main thing is to have time for people to think over the issues and to vote in a calm state of mind,” he said. Mr Lee was asked how this additional 24-hour cooling-off period would apply to the online world of networking and video-sharing sites. “On the Internet, it’s grey and also the policing is not so straight-forward but even then, in principle we should say today is a quiet day. I cannot control several million videos on youtube but your website, what you’re putting up in your own name, I think that should end the day before the cooling-off day,” he said. Countries that have imposed a similar period of campaign silence include Australia and Indonesia. Australia has a three-day black-out of election advertising and Indonesia has a three-day cooling-off before Legislative Elections and a two-day cooling-off before the Presidential election. In Singapore, this means that the minimum period between Nomination and Polling Day will be extended from 9 to 10 days to keep the same number of minimum campaigning days. This comes on the back of new election rules proposed earlier this year to bring more diverse views to Parliament. These include having more single-seat wards and smaller Group Representation Constituencies (GRCs), as well as allowing for more non-elected seats. Mr Lee had said then that the proposed changes are aimed at a more balanced system and to bring diverse views in Parliament to better reflect the aspirations of Singaporeans. On whether the changes mean the General Election is near? Mr Lee remained tight-lipped. “Maybe … no I don’t have a date for you – it could be, it could not be,” he said. Workers’ Party secretary-general, Low Thia Khiang’s reaction. (Today). Workers’ Party secretary-general Low Thia Khiang raised similar concerns. The ruling party could “disguise” its campaign as news items in the mass media, but the Opposition would be unable to do so, he told MediaCorp. For instance, he noted, if the Opposition were to campaign on, say, healthcare, the relevant government department could counter on policy issues on the cooling-off day. Read Cherian George’s write up here: Pre-election “cooling-off” period should not freeze citizen journalism. Straits Times’ report here: 24 hours to cool off before Polling Day. – PM Lee, Straits Times, 2009.